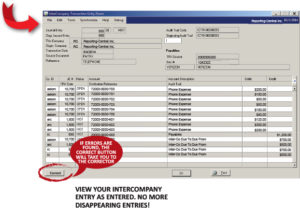 Once Inter-Company Payables and Journal Entries are posted, they have a bad habit of disappearing and leaving you with only the Inter-Company Due To/Due From Accounts of the Target Companies. 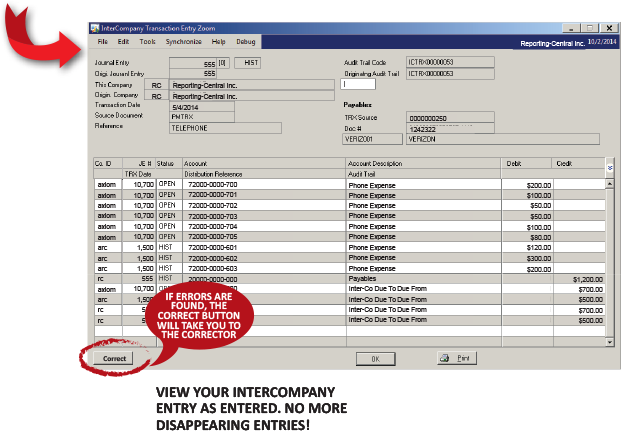 Now with Inter-Company View the Source Company can see the entire Inter-Company Transaction, including its original target entries. If mistakes were made The Corrector for AP Distributions can resolve these Inter-Company errors with its CORRECT button! Your Accounts Payable staff can now answer questions about Inter-Company transactions without embarking on a research project. Inter-Company Due to/Due From accounts are very difficult to reconcile with the culprit often being voids. You void an Inter-Company transaction in the source company and then nothing happens with the target company. 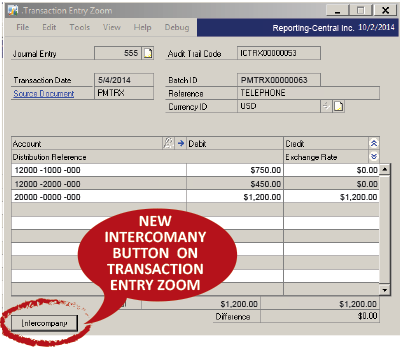 With Inter-Company Voids the target company’s side of the inter-company entry is automatically voided if the source company side of the entry is voided. Save processing time and avoid reconciliation issues. To purchase our Inter-Company Solutions please contact us. $ 300 for up to 2 hours of service for installation, configuration, testing and training. $ 600 for up to 4 hours of service for installation, configuration, testing, process review/alignment, training, and data review.